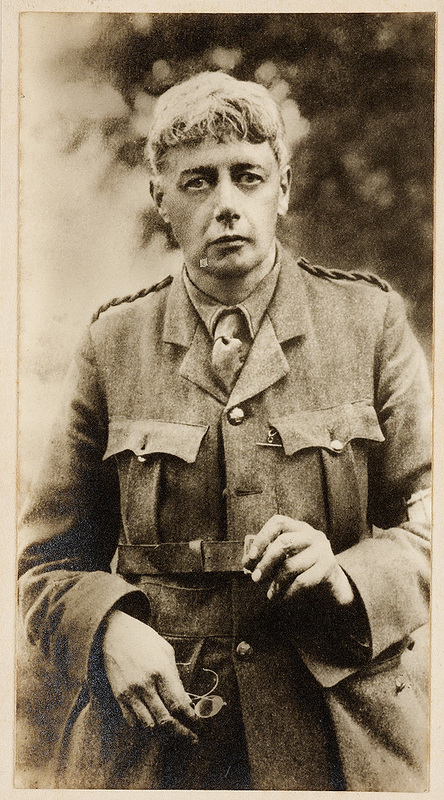 Edward Garnett, shown here in this 1917 photograph, read Virginia Woolf’s manuscript, The Voyage Out, for Duckworth and Company and recommended it be published. Woolf’s half-brother, Gerald Duckworth, had set up his own publishing house in 1898 and published Woolf’s first novel in 1915. 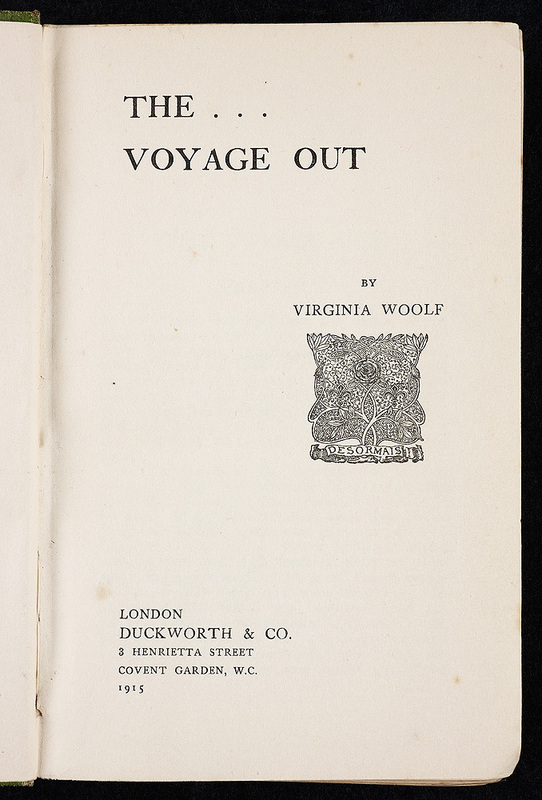 The Voyage Out was completed two weeks before her marriage and was dedicated to her husband Leonard Woolf. Originally called “Melymbrosia,” the novel was written “end to end five or six times,” according to Leonard Woolf. 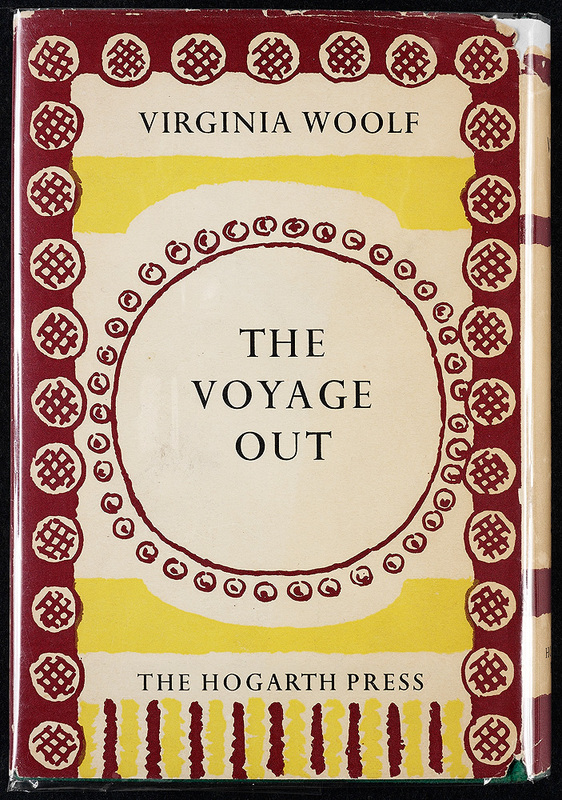 By 1930 when the bookseller William Jackson asked Woolf to autograph his copy of The Voyage Out, she had just finished writing The Waves. Virginia Woolf. The Voyage Out. London: Hogarth Press, 1957. Seventh impression. With dust jacket by Vanessa Bell. Presented by Christine M. Erickson ’65. Virginia Woolf. 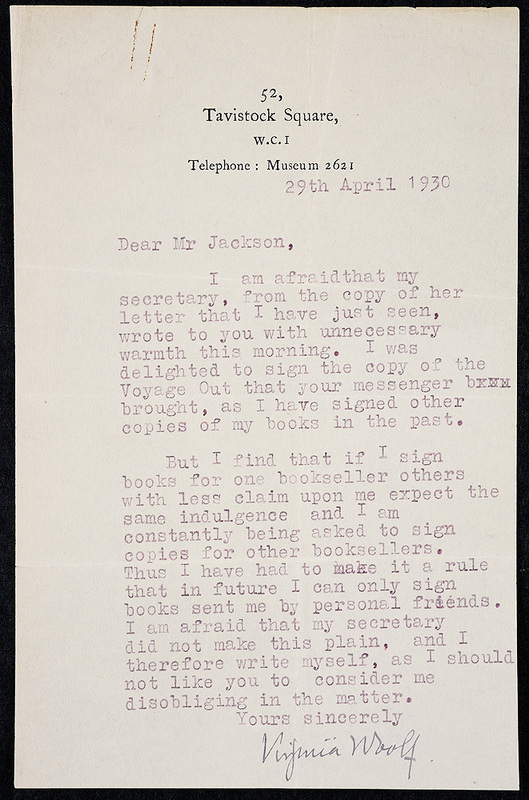 Letter to William Jackson, 29 April 1930. Presented by Frances Hooper ’14. Virginia Woolf. The Voyage Out. London: Duckworth, 1915. Dedicated “To L.W.” Presented by Frances Hooper ’14.